This is the closest that we can get on examining the real thing (for now). This latest trailer discusses the basics of the 3DS hardware, what’s hot, what’s new and why the 3DS is called so. Right off the bat, it’s a good thing Nintendo still supports backward compatibility (for the DS line at least, no more GBA slot :/), meaning you’ll still be able to use your existing DS and DSi carts on the 3DS. Of course, this doesn’t mean your older games will suddenly be magically transformed into 3D, that’s only for 3D enabled 3DS games. What’s more you get to transfer your DSiware from the DSi to the 3DS (but Nintendo says this won’t be available at launch). For the 3DS launch, the Nintendo eShop will be there to fill your appetite for Game Boy and Game Boy Color games but like the game transfer, this won’t be on the hardware at launch and will require a system update (and sneakily disable any current homebrew carts for the 3DS at the time I presume :)). As for what’s new, the 3DS also features an accelerometer (something that most smartphones feature at the moment) and a gyroscope (iPhone 4?). This will bring more smartphone-centric games and will no doubt attract devs to play with the new platform. If you’re looking forward to 3D, the 3DS has a feature that’ll adjust the depth of the 3D to fit your tastes. Now if that feature isn’t your cup of tea, you can always turn the 3D option off giving you a much longer battery life. 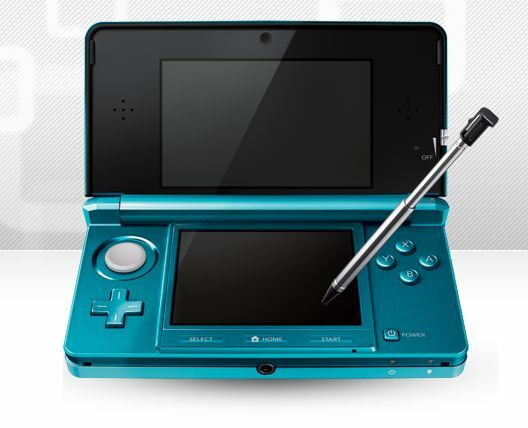 Nintendo aims to release the Nintendo 3DS on March 25, 2011 at $250.